Transport links to blame for the situation, says councillor. THERE are concerns people are being encouraged out of the North Isles after it was revealed that members of staff who don’t live within a “commutable distance” to the Shetland Gas Plant – as well as new applicants – could be offered a substantial relocation package by operator Total to move to the Shetland mainland. North Isles councillor Alec Priest told a meeting of transport partnership ZetTrans on Thursday that he was “almost losing sleep” over the idea of people being offered money – thought to be one year’s wages – to move out of Unst, Yell and Whalsay. He claimed the company has issues with the reliability and the timetabling of Shetland’s inter-island ferries for getting people to work for long shifts, as well as the fact that island workers are unable to be on call during the night. A spokesperson for Total said it is also offering relocation packages to members of staff who “work at the Shetland Gas Plant but who don’t live within commutable distance of it”. 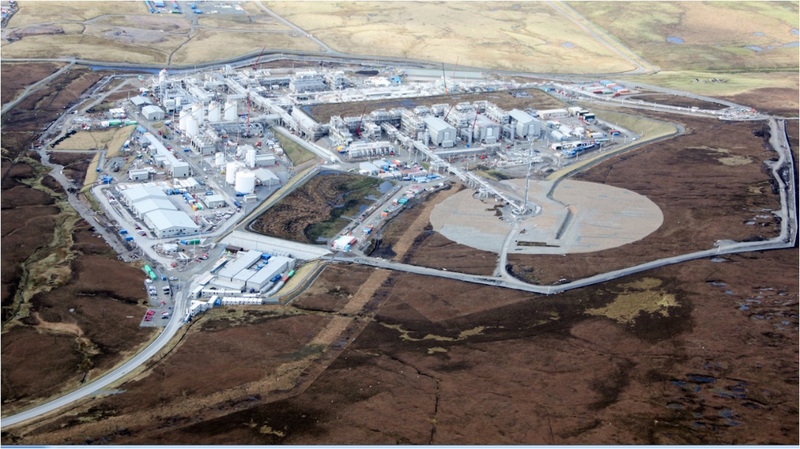 The gas plant, located at Sullom Voe on the Shetland mainland, was opened in 2013 to collect gas from the Laggan-Tormore fields north west of Shetland. Total recently ran a recruitment drive for jobs at the gas plant with a relocation package on offer to encourage people to move to Shetland, but it has been extended to residents in the North Isles and Whalsay. Priest reiterated after the meeting that the blame should not be placed on Total, with the Scottish Government’s apparent lack of strategy on fixed links like bridges and tunnels instead a main factor as to why the situation has arisen. “If we had fixed links then we wouldn’t be in this situation,” he said. It comes as the longstanding issue of building a fixed link to Whalsay was raised again this week by residents in the local media (The case for fixed links; SN, 5/11/2018). Former Scottish transport minister Humza Yousaf agreed back in 2016 to look into integrating fixed links into the National Transport Strategy Review, but there remains a lack of clarity over the government’s position. A spokesperson for Total said: “Total E&P UK is currently recruiting for posts at the Shetland Gas Plant. These positions are advertised across the UK and as part of encouraging people to apply we offer successful candidates a relocation package to Shetland. ZetTrans chairman and fellow North Isles councillor Ryan Thomson said it was “beyond belief” that the relocation package could be offered to islanders. He added that Total’s move was something that should be “wholeheartedly condemned”. ZetTrans, meanwhile, has also commissioned outline business cases into the Whalsay transport link and revenue funding of the inter-island ferry network as it looks to establish how much ‘fair-funding’ will be needed from the Scottish Government for 2020/21. For 2019/20 officers are seeking £7.9 million from the government to put towards running its inter-island ferries after receiving £5 million for the current financial year.